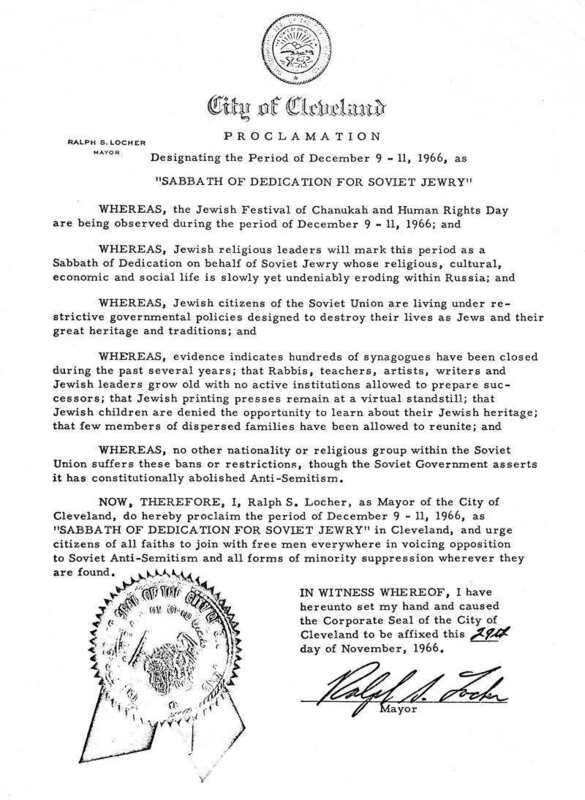 1966 - Cleveland proclaims Sabbath of Dedication for Soviet Jewry. 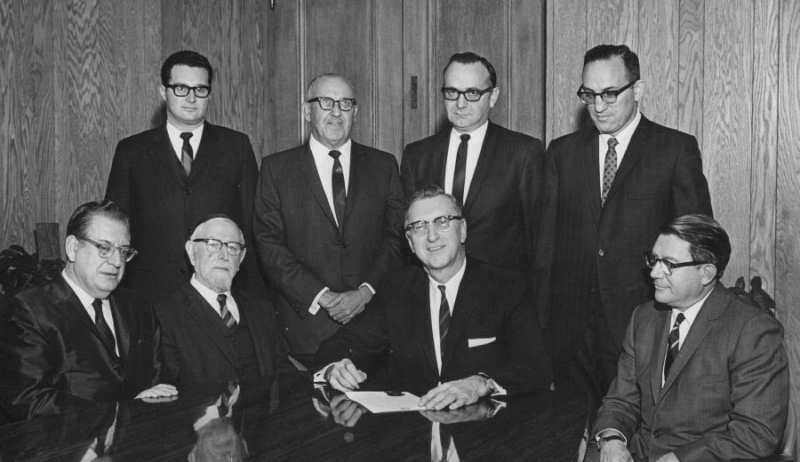 Seated (left-right) are Rabbi Rudolph Rosenthal of B'nai Jeshurun - Heights Temple (Conservative); Rabbi Israel Porath, head of the Orthodox Rabbinic Council; Ralph Locher, Cleveland mayor and Abe Silverstein, head of NASA and honorary leader of the Cleveland Council on Soviet Anti-Semitism. Standing (left-right) are Rabbi Daniel Litt of Beth Israel - the West Temple (Reform); David Meyers, president of the Jewish Community Federation; Robert Silverman, chair of the subcommittee on Soviet Anti-Semitism and Bennett Yanowitz, chair of Federation's Community Relations Committee.